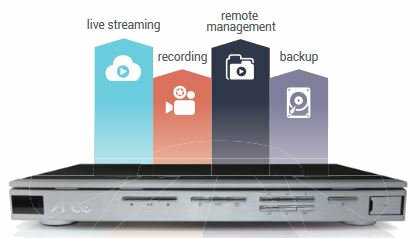 AREC MS-550 media station supports 4-channel Full HD video capturing, mixing, switching, recording, live streaming, online director, remote management and backup etc. AREC Media Stations are built on lowerin the entry barrier of using professional, AV broadcasting related devices. With the combination of network communication, intuitive user interface and all-in-one product design, AREC media stations were designed to support every user could enjoy making and delivering high quality videos without any professional skills. MS-550 supports synchronized capturing of multiple sources through HDMI / VGA/ RJ45 interfaces, it is compatible with network cameras, laptops, PCs, digital microscopes, wireless microphones etc. *Supports DVI and component video cable inputs when using appropriate DVI to HDMI or component to VGA adaptors. 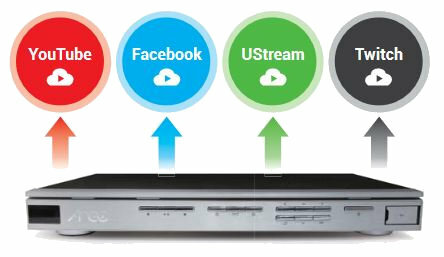 Supporting multi-source switching and mixing, MS-550 provides multi-source live streaming to broadcast the live image and voice of an on-going lecture or event on YouTube Live,Facebook, UStream, Twitch and other live broadcasting websites, allowing any participant to attend at any location in the world. 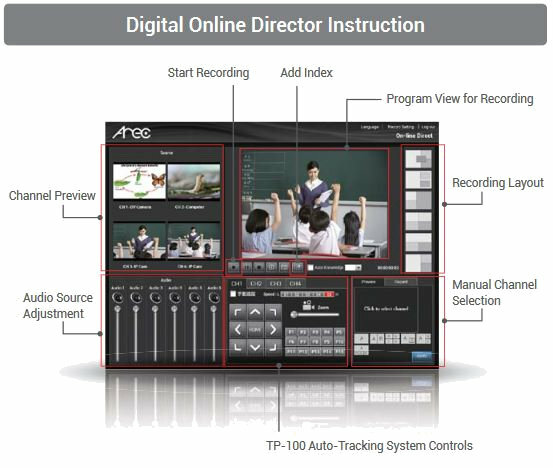 Built-in Online Director, AREC MS-550 allows switching and mixing between multiple cameras and digital content sources. It supports control and monitoring the cameras’ field of view, movement, switching image layout, and adjusting audio volume etc. 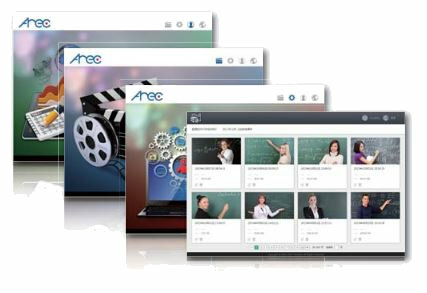 In addition, AREC has launched the exclusive app "Arec Action! ", which allows users to control their streaming and recording from a mobile tablet*. 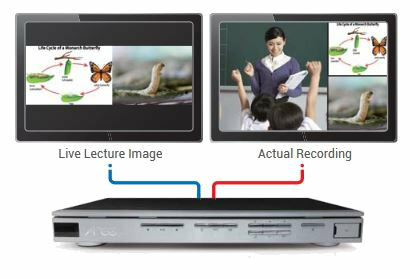 AREC’s proprietary Signal Separation Technology allows the flexibility of single or dual source front stage (live lecture) display while simultaneously performing multi-source and multi-screen recording. 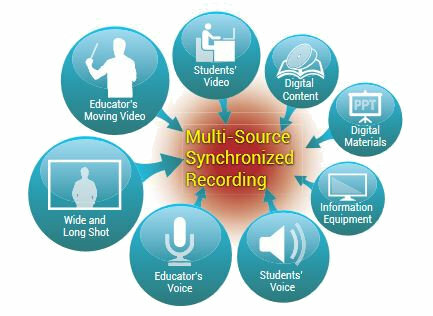 This feature has been widely used in diverse vocational education and simulation labs. management and system management platform, administrators can also access the system settings and control options through the Internet. 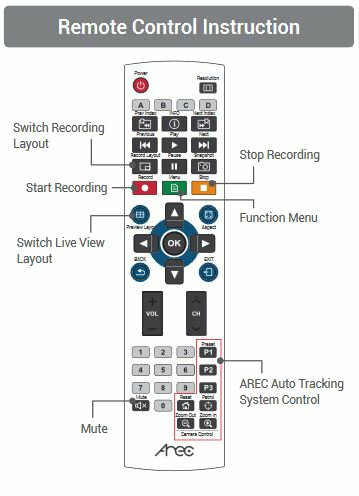 AREC MS-550 provides highly flexible recording layouts options, including full screen, picture-in picture, picture-by-picture, and multi-channel split screen types. From web-based back stage, users can choose 9 user-defined layouts for easy to use and switching. MS-550 comes with a fully graphical user interface utilizing information visualization in order to minimize the learning curve required. 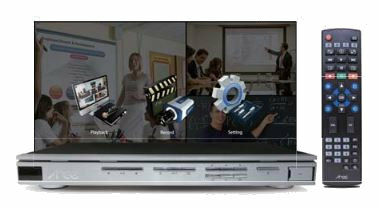 A remote control allows for easy operation of MS-550’s comprehensive capabilities including screen split, lecture recording and live streaming etc.